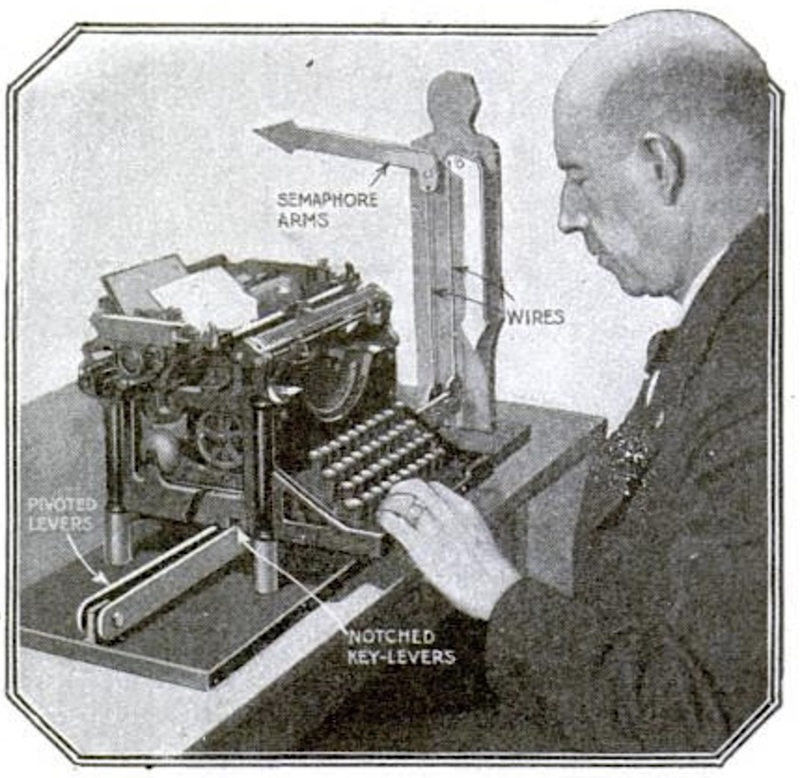 Popular Science reported on the “wigwagging” typewriter in its Feb. 1920 issue. By the description, it appears to be an attachment that works a figurine, which one uses to learn flag signaling (semaphore). Today, we have an app for that.